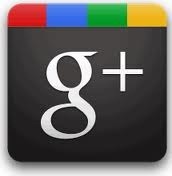 So their has been a lot in the tech press or the so called blogosphere about Google+ not supporting business. From what I can can work out if you use Google apps account you are considered a business. Google seems to have forgotten that they allow individuals to sign up to Google apps, so that you can use your own domain with Gmail as one of many advantages. Due to this restriction I’m unable to use Google+ (even though I have been invited). I have received an invite to my old Gmail account, which I can get access to Google+ but I’m reluctant to invest any time with this as Google has apparently stated that “business” accounts won’t be able to transfer data. I feel that this is a unnecessary restriction on the service, I also feel it may be telling about happy many individuals actually bother with Google Apps.